. Published on Wednesday, April 12, 2017 . 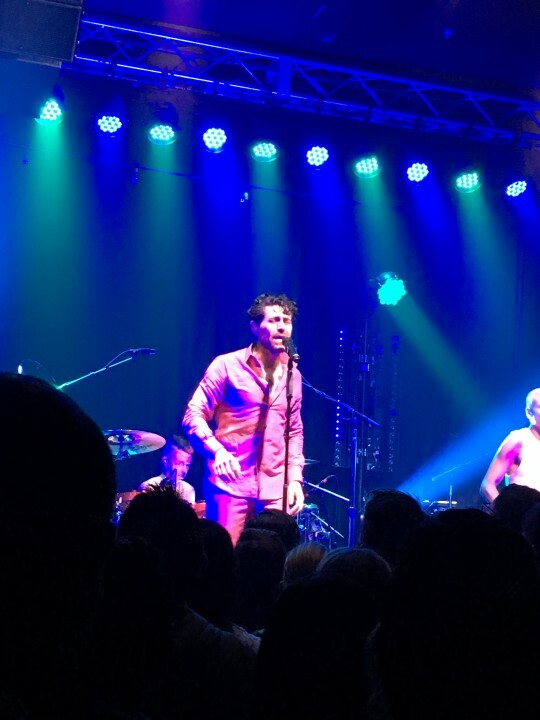 It was a Thursday night (April 6, 2017, to be exact), in a first-hand experience inside the small, confined space of the Constellation Room, I had the rare opportunity to see DREAMCAR as they played their second night ever for the sold-out Orange County crowd. Flashback to March 2, 2017— 106.7 KROQ hosted four guests on their show who were no strangers to this radiostation’s Los Angeles studios. In fact, all four of these individuals had numerous visits, on numerous occasions, but this was the first time all four guests were featured together. 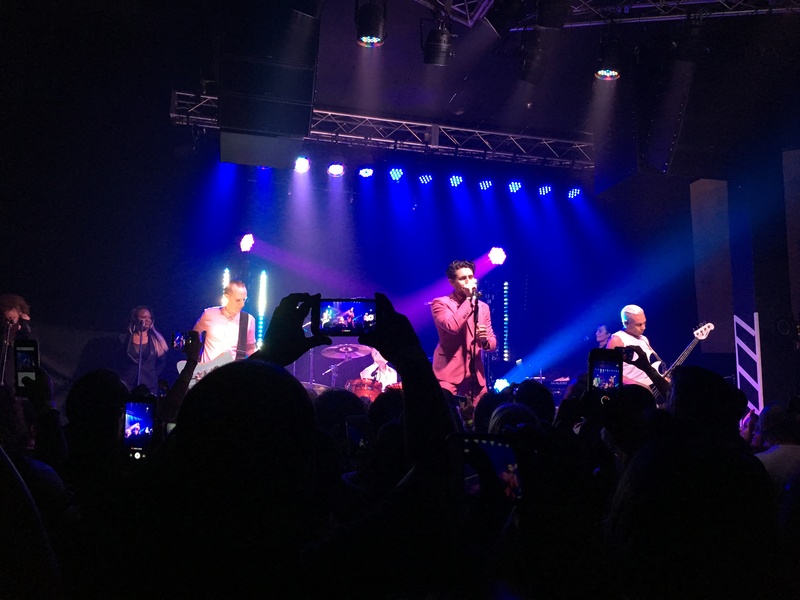 No Doubt’s Tom Dumont, Tony Kanal and Adrian Young with AFI’s Davey Havok joined Kevin and Bean’s morning show—to world premiere their first single “Kill For Candy”— as a new band now known as DREAMCAR. This collaboration is literally a dream come true for AFI and No Doubt fans alike. Five years ago, No Doubt debuted their sixth studio album Push and Shove, and that was the last we heard from the group. Frontwoman Gwen Stefani had already established herself as a solo artist with three albums and a gig as a coach on the hit singing show, The Voice, leaving No Doubt fans to wonder, what happened to the rest of the group? Meanwhile, AFI has had their hands full with the release of AFI (The Blood Album) in January 2017, which then kicked off a North American tour, with the last date scheduled for July 2017. Alas, the foursome divulged their origin story that morning, as KROQ listeners anxiously waited for details about an album release and tour dates. While it was already known that the band would play at this year’s Coachella Valley Music and Arts Festival, Kanal shared that the self-titled debut album would not be released until May 12, but that DREAMCAR would play a few smaller shows leading up to the band’s festival performance: the Constellation Room at the Observatory in Santa Ana, CA; the Great American Music Hall in San Francisco, CA; and The Roxy in Los Angeles, CA. So there I am, packed like a sardine in a can (now I could finally relate to that idiom), when I see Young, Dumont, Kanal and Havok take the stage. A roar erupted from the room, and I could feel my eardrum vibrating from the hysteria. Havok, dressed from head to toe in pink, grabbed the mic and from there commanded the attention of every person in the room for the entire show. People were hanging on to every word as he attempted to connect with each person one-by-one with longing stares and serenades. I, too, was in a Havok-trance as he sang the words to me—“All the dead girls love me, so why can’t you?”— to the DREAMCAR song, looking into my eyes from the small hole I managed to find through the crowd. You could tell that this was his way of saying “thank you” to everyone who blindly came out to support the band, having only heard their one single on the radio. Needless to say, his message was delivered. Another highlight of the night was watching Kanal and Dumont rock out face-to-face like they would during their No Doubt days. I had flashbacks of the No Doubt and Blink 182 tour back in 2004. It was a special moment between friends and bandmates that showed how happy they were to be playing together again. I spent the night singing and dancing in my little space (hence the shaky camera work), wishing the night would never end. 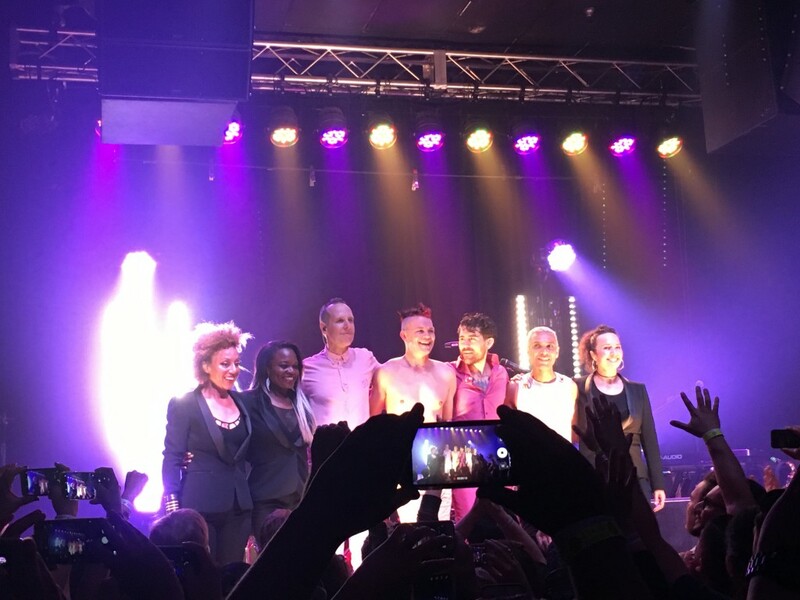 After the band closed with “Kill For Candy”, the group gathered together and gave a bow, which at that point left me in tears. It was truly a historic moment for the band, and for No Doubt and AFI fans. I don’t want to impose my thoughts on DREAMCAR’s music, nor do I want to try to define their sound, but what I will say is that DREAMCAR offers a true experience, one you wouldn’t want to miss. Should you happen to be attending either weekend of Coachella, make it a point to schedule in DREAMCAR’s set. Once this festival is complete, they will be going on tour, which I’m predicting will sell out fast! To listen to the full KROQ interview with DREAMCAR including the origin story, which I highly recommend listening to, click here. NOTE: Skip 031:19 into the podcast to get to the beginning of the interview. What are your thoughts on DREAMCAR? Let us know by using the hashtag #CampusCropChat on Facebook, Twitter and Instagram! And be sure to follow us on Snapchat @ASICPP to stay up to date with everything ASI.